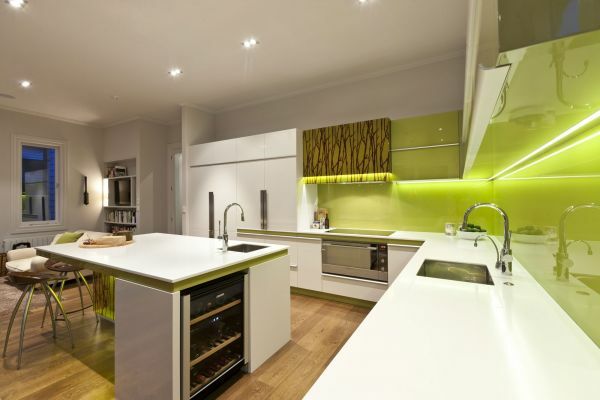 Green and white kitchen. 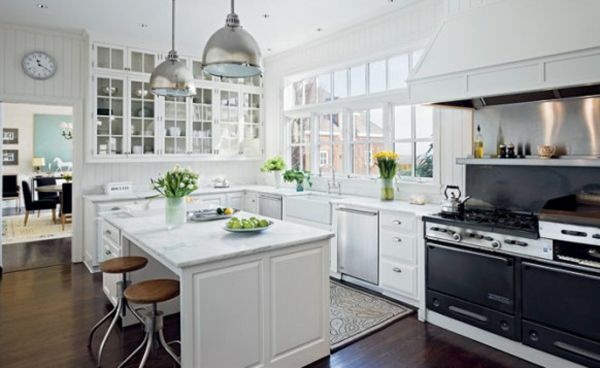 A green gingham ceiling gives a classic white kitchen personality, and it brings extremely high ceilings down to a more comfortable place. 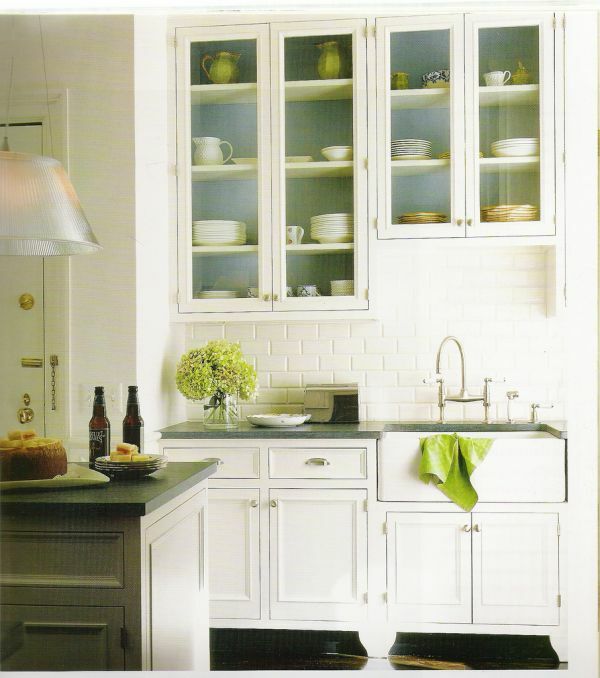 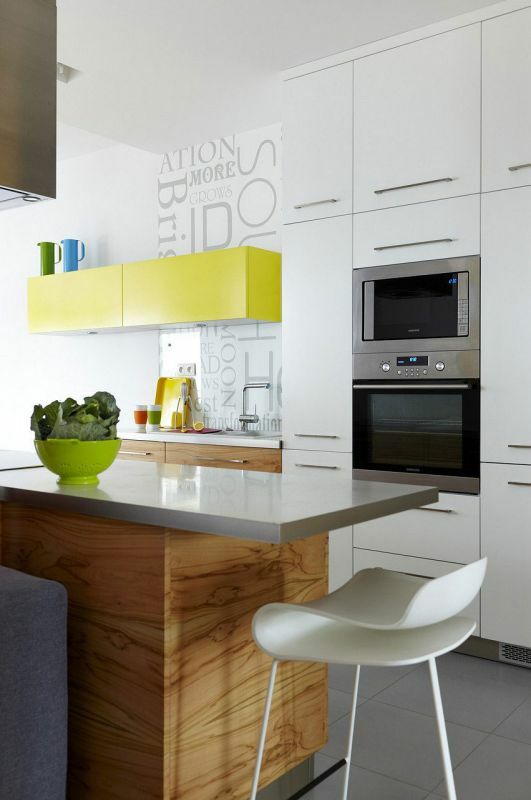 Add a fresh, organic feel to your kitchen by teaming a muted green with an off-whitehue that is reminiscent of nature.